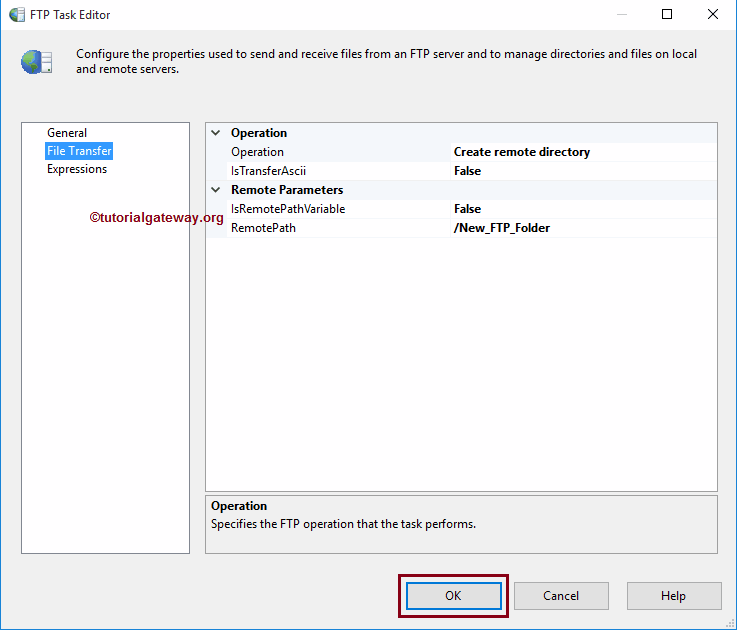 The SSIS FTP Task is used to perform different kind of operations on Files and Folders (or Directories). 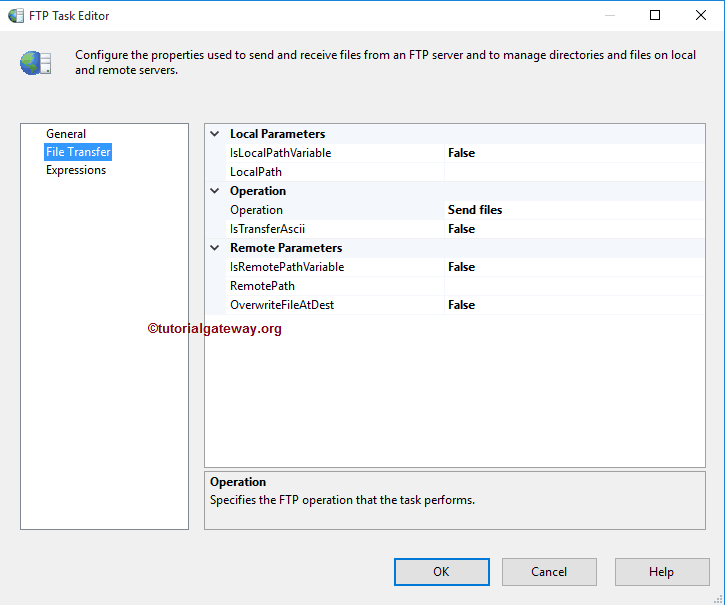 In this article we will show you the steps involved in configuring the SSIS FTP task create remote directory with example. 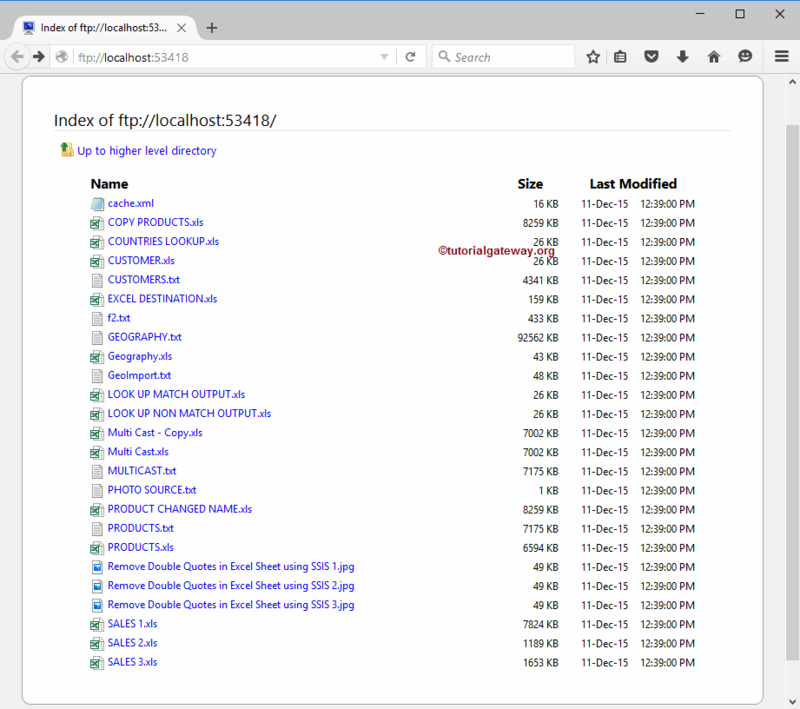 Below screenshot shows you the data inside the FTP Server. 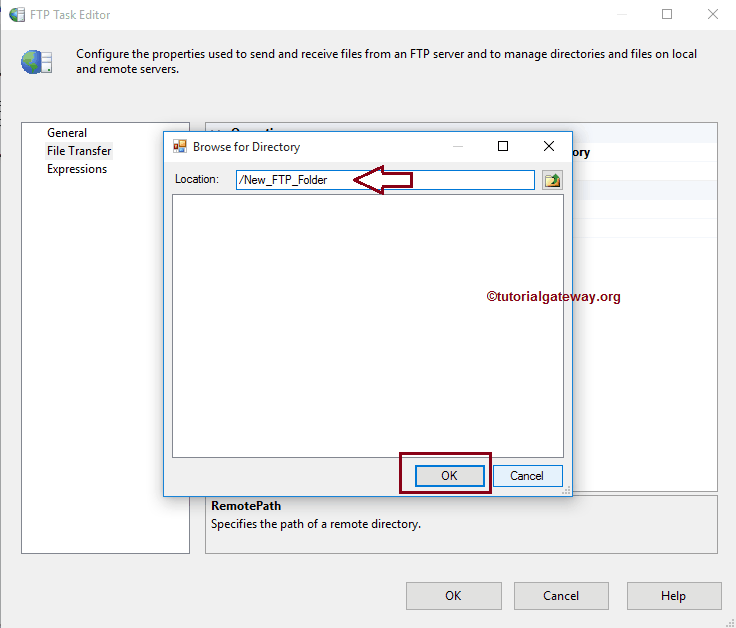 Our task is to Create new folder or directory inside the FTP Server Root directory. 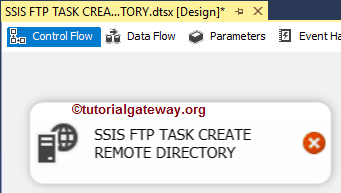 From the below screenshot you can observe the / as the location because it is the root directory of FTP server and currently we don’t have any sub folders. 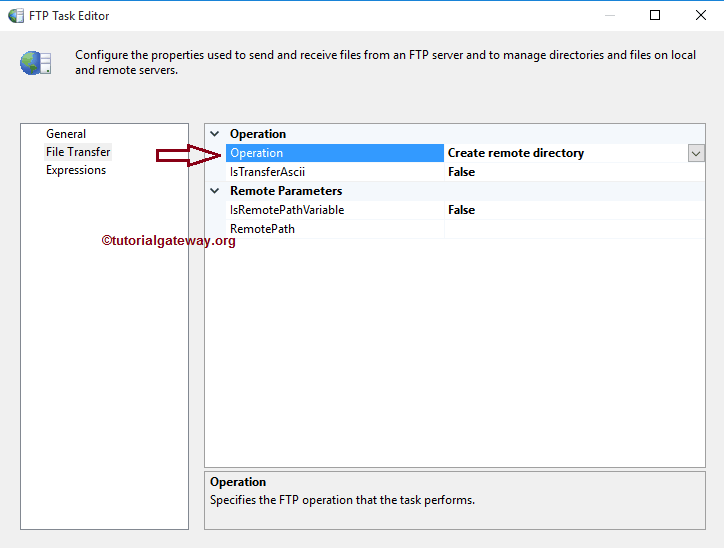 Here, we are creating the folder called New_FTP_Folder. 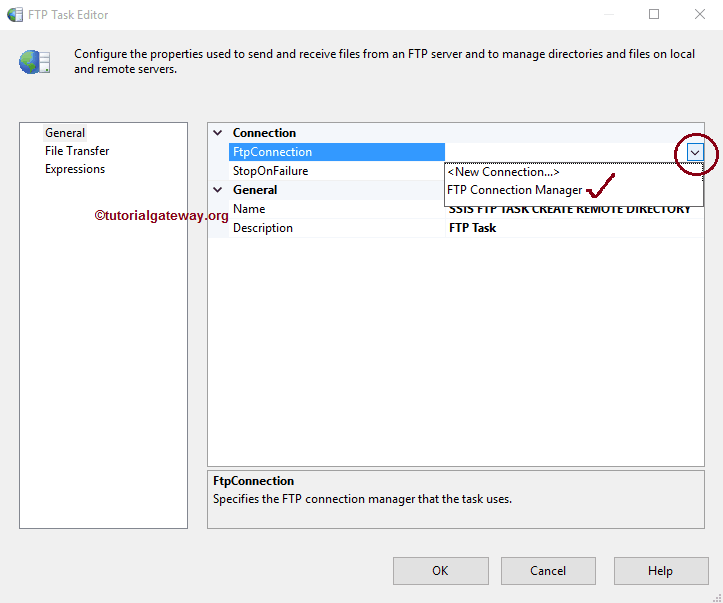 Click OK button to select it. 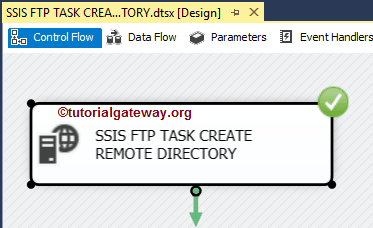 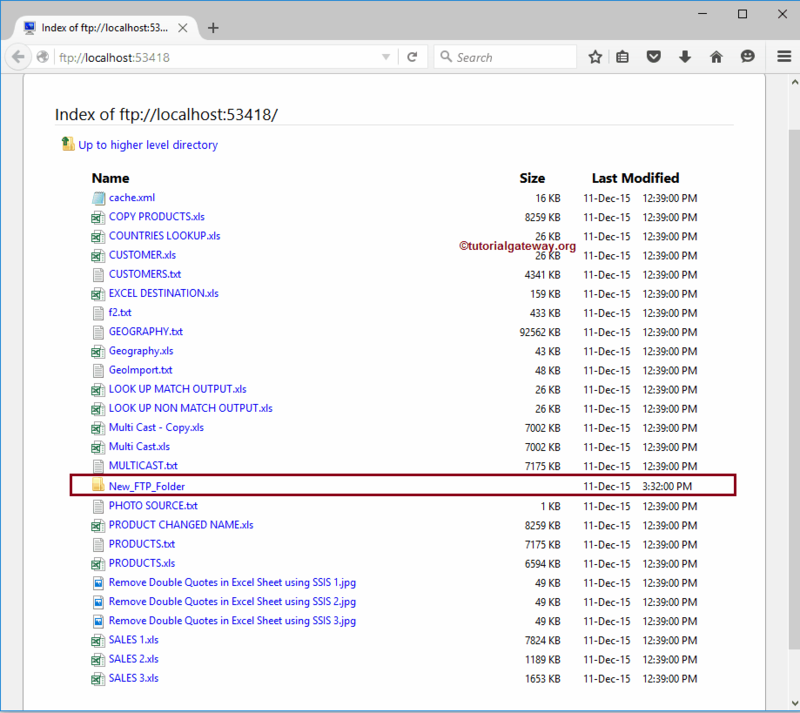 Click OK to finish configuring the SSIS FTP task create remote directory package. 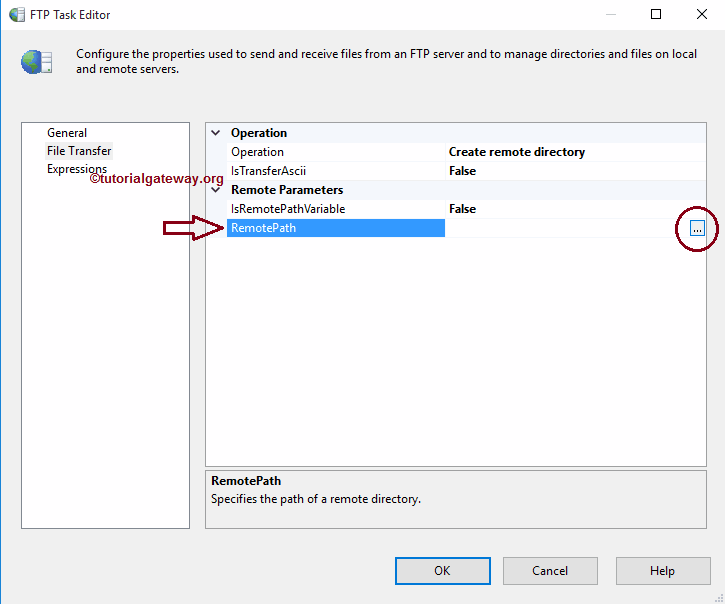 Let’s run and see whether we successfully Created the new folder in our FTP Server or not.